Before figuring out How to increase Google page rank, you need to know some basics, may be you know this. But i need to tell this as an introduction. Page rank is the resultant of quality backlinks. It is a Google Ranking system which have ten levels, 1 to 10. 10 is the highest one among this. Google pagerank update will happen 4 times a year. 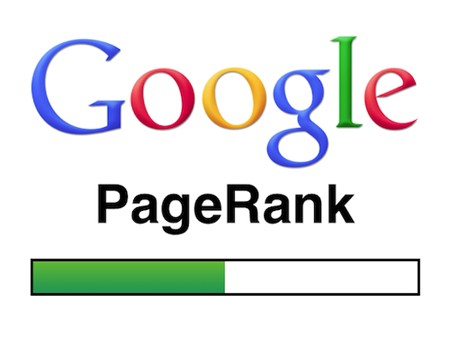 The best and easy way to identify page rank is to install Google page rank tool bar in your web browser. Mozilla Firefox have more Add-ons related to page rank. Natural backlinks is best way to increase page rank. It is such a good way. Writing great contents is the only way to get those. Other sites will connect to your website, if your content is good and useful. You do not have to spent time for building backlinks, it will come automatically when your contents are great! Backlinks from untrusted sites can lose your page rank. If you are using Google webmaster tools it will notify you while Google detects spammy or unnatural backlinks. So you can avoid such links by using Google Disavow Tool. Place your links on top of pages. Google can give u better page rank while your website appear on top. If it is appearing after too much links,you may not get good result. For example don’t be the last commentator. Every domain name have an ip address. It is difficult to remember these ip address, so that we are using domain names. You should use a dedicated IP address for your domain to make it unique. Search engines can give better search ranking for domains that using dedicated ip. And Google can give better PageRank and better trust. I know it is difficult to get backlinks from .edu and .gov. These backlinks have some special power as it is trusted sites. You need to try to get from these type of sites. Submit guest post to website that have high ranking or page rank. You can ask for your competitor otherwise any other sites that is related to your topic. You should get one or two good backlinks from guest post. Hire one good blogger to write guest blog is a great idea. After Penguin algorithm update most of article submission sites doesn’t allow DoFollow backlinks. But still some are left as DoFollow with high page rank. Don’t forget to submit unique content. Google loves internal linking. This is good SEO technique to increase your page rank wisely. Link to other post or pages of your website. It should be relevant. Breadcrumbs also help for internal linking. This is an easy way, Commenting on Do-follow blogs will help to get backlinks quickly. Also you can add your website link as signature. But do not link to low quality sites and do not over do commenting and signature. This may leads to lose your ranking. Backlinks from directories also have a special quality. There are free and also paid web directories available. Dmoz, one of the biggest directory, didn’t accept submissions now. It is really a bad news for every webmasters. Gain some backlinks from directory sites. It is easy to get backlinks from social media. You can provide your website in your profile. There are some social sites that still do-follow. Links from Social Media is an easy and fastest way to increase back-links. When you putting do-follow link to other sites, page rank will goes to that sites. So you need to maintain it. Make your comment section No-Follow. Most of blogs have no-follow commenting section. Google never likes do-follow commenting section. Buying backlinks is out of guidelines of Google. Google doesn’t like quick backlinks. It will be consider as a spam. Page rank is not depend on number of links, it is based on quality and how special they are. Like buying, selling is also a bad thing. While selling links, your page rank is divided to other websites. Why you giving your page rank to other websites? 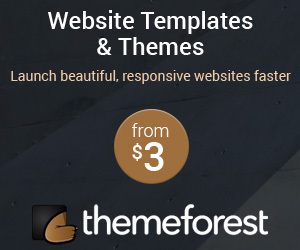 Your site theme should be error free in coding, you can use W3C to clean your code errors. Also page speed also affect page rank and your SEO rankings. I hope these tips will help to increase your Google PageRank. This is great information.thanks for this useful information. Have a confusion here if we get the backlinks for .edu & .gov. are the relevant for all the niche? Page Rank should play key role in every websites. I would say that getting thousand back links from spam websites is always better than get a link from quality website that is more relevant to your niche and this is what Google loves. I have two question regarding your this post…. 1.Is directory submission is useful after “Panda Update #24 — January 22, 2013” ? 2. How use a dedicated IP address for our domain to make it unique ? Please get back soon as soon as possible . Hi Piyush, Google is not much impressed in Directory submission now. But it can increase page rank. Other search engines still considering Directory submission as good. You can get dedicated IP address from your hosting provider. When a domain have a dedicated IP address, then it will reduce the chance for spam activities. Hence search engines can have more trust in that domain. thanks Rahul for your reply now i got it. Great article with great idea. I hope its help me to increase my PR. Because i am tried for increase PR. Now my filling it is so difficult/turf. Over many many thank Mr. Rahul A Nair. Hi Rahul, Nice tips on getting a page rank. is it very important you have a unique website design, does it really help to get a better page rank? Hi Mazhar, I think unique website design will not helpful for increase page rank. But a well designed website can definitely improve its search engine rankings. Really like the efforts you have put in. Nice info. There are some new points like gaining links from .edu and .gov and internal linking which I observed here. I hope these will help me out ! These days getting page rank has become very tough, even doing these things, still we have to wait for page rank.